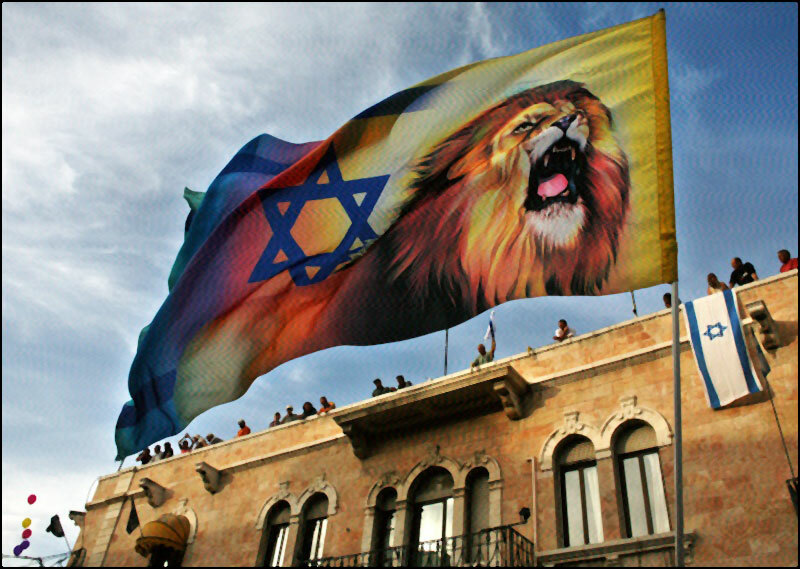 From a rooftop, Jerusalemites watch an evangelical Christian parade in support of Israel; a marcher carries a flag with a Star of David and a lion. © AP/Kevin Frayer, 2006. At a time when the state of Israel lies under existential threat from jihadist Islam, and under ideological and diplomatic assault in foreign ministries, international organizations, churches, universities, editorial offices, and other circles of advanced Western opinion—and when even some Jews in the Diaspora seem to be growing disenchanted with the Zionist cause—millions of evangelical Christians unabashedly continue their outspoken, wholehearted, stalwart defense of both the Jewish state and the Jewish people. By all rights, this rather stunning fact—the fact of a vibrant Christian Zionism—should encourage a welcoming response from beleaguered Jewish supporters of Israel. Instead, it has caused palpable discomfort, especially among Jewish liberals. Wary of ulterior religious motives, and viewing evangelicals as overly conservative in their general outlook on the world, such Jews either accept the proffered support with a notable lack of enthusiasm or actively caution their fellow Jews against accepting it at all. To many, the prospect of an alignment with evangelicals, even one based on purely tactical considerations, seems positively distasteful. Very few have attempted to penetrate the evangelical world or to understand it in any substantive way. This is a pity, for many reasons. It is also a serious strategic error. For the reality is that today’s Christian Zionism cannot be taken for granted. For one thing, not all evangelicals do support Israel. For another, more alarming thing, a growing minority inside the evangelical world views the Jewish state as at best tolerable and at worst positively immoral, a country that, instead of being supported on biblical grounds, should be opposed on those same grounds. Jewish supporters of Israel who view evangelicals monolithically may judge this latter development to be a matter of little significance. I would argue otherwise. A debate is beginning to take hold within the evangelical world, and the Jewish future will be greatly affected by how it unfolds. As a Christian who often finds himself working among Jews, I am accustomed to people being fascinated by my background and interrogating me at length on this or that point of doctrine. But even among my Jewish friends I am constantly struck by the profound lack of understanding of evangelical Christianity and of the factors behind Christian Zionism. My own odyssey into the Jewish world started nine years ago when, impelled by a convergence of religious and political concerns, I approached the cantor of a local synagogue and asked for help in the finer points of modern Hebrew. Caught completely off guard by this request from a devout Baptist, he said he would have to sleep on it. Whatever he struggled with that night I don’t know, but the next day he readily agreed to take me on; for the next two years, we met twice a week in the synagogue library to pore over Hebrew texts and discuss Jewish language, Jewish faith, and the history of the Jewish people. Although he never said so explicitly, the cantor’s first instinct was to be suspicious of my motives. He had heard about evangelical Christians who “loved” Israel, but like most Jews he found the subculture puzzling and bizarre. Still, during the many hours we spent together I believe he came to understand me, to appreciate my interest, and to comprehend the sincerity of my faith and my intentions. When our two years ended and I went on for a degree in Jewish studies, he expressed confidence that I would one day prove a “blessing” to the Jewish people. As was borne in on me in the ensuing years, the cantor’s initial wariness was typical. And it could hardly have been otherwise. The fact that people bearing the name of Christ had spent centuries demonizing the Jewish people and shedding Jewish blood placed the burden squarely on me to justify myself and explain my intentions. All the [biblical] prophets spoke of the messiah as the redeemer of Israel and their savior who would gather their dispersed and strengthen their observance of the commandments. In contrast, Christianity caused the Jews to be slain by the sword, their remnants to be scattered and humbled, the Torah to be altered, and the majority of the world to err and serve a god other than the Lord. For centuries, Maimonides’ attitude was shared by Jews wherever they lived in Christendom. Even when not sequestered in ghettos or compelled to wear identifying marks on their clothing, their marginal status in Christian society precluded significant interaction between the two communities. The suggestion of Jewish-Christian cooperation on anything but the most trivial matters of daily existence would have seemed not only absurd but almost unthinkable. My purpose here is not to polemicize in favor of a Jewish-evangelical partnership on every social issue. The two sides disagree on a fair number of things, and neither side should be ashamed of its position. My purpose instead is to inform. What do evangelicals really think about the Jewish people, what are the roots of Christian Zionism—and what is now driving growing numbers of evangelicals to change their minds about the Jewish state? Set aside media stereotypes of evangelicals as ignorant backwoodsmen, loud-mouthed bigots, maniacal Jesus-zombies bent on taking over the world, one-dimensional drones who, when they are not worshiping the criminal state of Israel, live to demonstrate outside abortion clinics and block the rights of gay people. The reality, needless to say, is far more complex—so complex, that it defies easy explanation. Scholars who study the evangelical community quickly discover just how atomized and amorphous it is, dispersed around the globe under the authority of no single denomination, without a single statement of faith shared by all or a pope or patriarch to whom all look for guidance. Many labeled as evangelicals don’t even refer to themselves by that term, at least not in defining their primary religious identity. Historically, evangelicalism grew out of the Protestant Reformation, which shook the Christian world in the 16th and 17th centuries as groups of European Christians separated themselves from the Roman Catholic Church. Basing themselves on their reading of the biblical text, then newly available in vernacular languages, these Christians denounced Catholicism as a bastardized and corrupt version of the apostolic church portrayed in the New Testament. Originally, the term “evangelical” (from the Greek word signifying the bringer of good news) served as a label for these non- or anti-Catholic Christians, who set about to create new and “purified” churches. Later, it came to be applied to the movement of religious awakening that swept across Britain and America in the 18th century, a movement that owed its energy to a combination of Puritanism, pietism, and revivalism. Today, the global evangelical population numbers somewhere around 300 million people scattered across every continent. While most live in developing countries, the United States remains the movement’s traditional center. Yet even here, defining it proves difficult. The Institute for the Study of American Evangelicals at Wheaton College in Illinois offers three distinct contemporary uses of the term. The first denotes the large swath of Christians who subscribe to four key doctrinal points; the second refers to an organic network of movements and religious traditions; the third signifies a coalition of churches and institutions. For its part, the Barna Group, an evangelical polling firm, has identified no fewer than nine criteria to capture the profile of Christians who adhere to the evangelical way of life more than just nominally. Others have their own criteria. Given the elasticity of the term, it’s no wonder that estimates of the number of evangelicals in the United States vary greatly. In its latest survey, the Gallup organization concludes that those identifying themselves as “born again” or evangelical comprise fully 41 percent of the national population, or roughly 128 million Americans. The Wheaton College estimate is lower—90 to 100 million—while the Barna Group, which excludes mere “cultural evangelicals,” claims that only 20 million or fewer Americans meet the strict nine-point test. Moving away from this muddle, I would propose a simpler and more normative description that starts from the word “evangelical” itself, with its announcement of “good news”: a concept translated into Old English as godspel and into the English of the King James Version of the Bible as gospel. This one word contains the central thrust of all evangelical belief: namely, the good news of Jesus Christ’s salvific death and resurrection by means of which believers can obtain forgiveness of sins, eternal life, and citizenship in the kingdom of God. Evangelicals are those Christians who believe in the truth of this message as the only hope for the human soul, and who deny that heaven can be reached in any other way. By this criterion, no one can be born a Christian in evangelical belief: everyone must come to Jesus individually of his own volition, making a profession of faith based on a genuine conviction of the truth of Jesus’ messiahship. This also explains why, more so than the members of almost any other branch of Christianity, evangelicals share a profound attachment to the textual world of the Bible. For the evangelical, the Bible is more than just a “good book”; it is the literal and inspired word of God, written by prophets who were moved by the holy spirit and preserved through the ages by the hand of divine providence. To evangelicals, the Bible is the blueprint of the cosmos, the framework of history, and the answer to all of life’s mysteries. 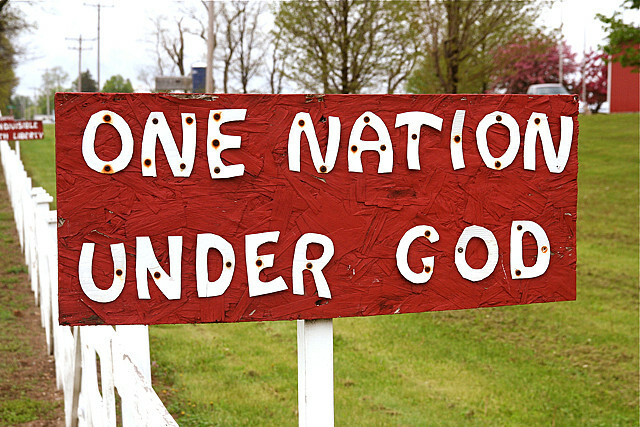 Only the Bible—not a priesthood or a church hierarchy—can assert authority over the Christian. Evangelicals likewise share a commitment to spreading the good news that they have been blessed to hear. Not content to practice their faith for an hour on Sunday mornings, they not only strive to infuse every aspect of their lives with the aura of the good news but take literally Jesus’ words to “go into all the world and preach the gospel.” This does not emanate from some prideful impulse to impose their religion on others but from a sincere concern for human souls and a deep love for the “lost”: those who, for whatever reason, have never heard the word. But—to repeat—evangelicals emphatically do not believe that faith can be coerced, or that baptism can somehow confer the power of salvation; Jesus must be chosen voluntarily and out of genuine faith. A subtler but no less central tenet of evangelical belief is that history itself is pre-written and God-directed. A story neither of endlessly recurring cycles nor of linear and infinite progress, history is instead the acting-out of a cosmic epic in which God reveals Himself to man and works to reconcile the gap between heaven and earth. This, for evangelicals, is the essence of Christianity: the story of a God who loves His creatures so much that He sent a redeemer to atone for their sins and restore them to the divine communion that was lost at Eden. This story has discrete players. It has a plot. It has a beginning, a middle, and an end. Most importantly, from the Jewish perspective, it has a nation, a chosen nation, upon whom the rest of the story turns. And here we come to how it is that, by and large, evangelicals support the state of Israel. The Zionist bent in Protestantism has been evident for centuries, and goes back (as we shall see) to the very earliest days of the Reformation. Today’s evangelicals are the direct heirs of that tradition. Thanks to their literal reading of Scripture, they see Israel as a nation chosen by God to play a unique role in history. But is this really all there is to it? Many find that hard to credit; utterly baffled by the phenomenon of Christian Zionism, they search instead for other, darker explanations. Of these, the most common is that, desperately craving the end of the world as a prelude to their own final salvation, evangelicals need the state of Israel in place for the predicted bloodbath in the battle of Armageddon. For this reason, the story goes, evangelicals will do everything in their power to ensure that Israel retains its foothold in the Middle East, no matter what. Yet once the appointed end does come, believing Christians (in this scenario) will be miraculously evacuated to heaven while Jews will be slaughtered in a horrific holocaust. The few survivors will then be converted to Christianity en masse. There is no denying an eschatological element in the approach of many evangelicals to Israel—and a minority, emphasizing apocalyptic themes, does try to calculate the exact date and time of the second coming of Jesus. But the reality bears no resemblance to the portrait of cardboard-cutout Jesus freaks itching for the annihilation of the Jews and using them as pawns in their apocalyptic game. The first and perhaps the most important thing to note here is the significance of Israel within evangelical thought as a whole and not just in, as it were, the final chapter. Evangelicals believe that God chose the biblical people of Israel as His vehicle for world redemption, an earthly agent through whom He would accomplish his grand plan for history. Why did God choose Israel? Not because of any innate virtue or genius they may have possessed, but because He had made a covenant with their patriarch, Abraham, based on the latter’s demonstrated faith and devotion. Although, in the evangelical account, there were and are many aspects to Israel’s divine mission, preeminent among them was the task of birthing the messiah: the same person, Jesus, whose messiahship was then repudiated by most Jews. Those who did accept him became known as Christians, and their good news eventually spread to the non-Jewish nations as well. Meanwhile, those who did not accept him were subsequently conquered by the Romans and scattered to all corners of the earth in accordance with the prediction of Moses long before. With the destruction of the Temple and the end of the sacrificial system, ancient Jewish religion morphed into rabbinic Judaism and survives until the present day. Over the centuries, Christians in general have debated whether Jews still have a role in history after their rejection of Jesus. Some have denied it, affirming instead that the Christian church constitutes the “true Israel,” superseding and replacing the Jews in God’s favor. These “supersessionist” Christians are not Zionists; far from it. By contrast, many of the early Reformers and most modern evangelicals believe that the nation of Israel and the Jewish people still retain their position as the apple of God’s eye. Despite Jewish unbelief in Jesus, the Jewish people are covenanted to God and will never be completely cast away. Christians who believe this tend to be Zionists. Part of God’s covenant with the Jewish people involved bringing them back from exile and setting them once again in their own land. Since the 16th century, and despite the sheer improbability of the idea, Protestant writers spoke of a Jewish ingathering and sometimes actively promoted it. When the Zionist movement proper began in the late 19th century, and especially after the Jewish state was founded in 1948, this unlikely prophecy seemed to many to be coming true before their very eyes. Although not all Christians embraced the new state, the vast majority of evangelicals became immediate supporters; one of them was President Harry Truman, a Baptist. Most evangelicals also believe that the ingathering of the Jews is the first stage in the second coming: the moment when Jesus will return to earth not as a humble servant but as a conquering king to establish his righteous rule in Jerusalem and restore the nation of Israel to its favored place for a millennium. Evangelicals differ over the sequence of events that will precede this occurrence. Many believe that true Christians will be “raptured,” or taken out of the earth, before the onset of a seven-year period of chaos that culminates in the second coming and its thousand-year aftermath. This approach, known by the cumbersome term of “premillennial dispensationalism,” holds broad appeal but is hardly unchallenged. What of the much-hyped mass conversion of the Jews? Many evangelicals do believe that, just prior to the second coming, thousands of Jews will accept Jesus as the messiah they have been waiting for. But these Jews will be making a voluntary choice—they will not be “converted” by anyone, let alone against their will—and will not be “converting” at all in the classic sense. That is, they will not become Christians; they will be Jews who believe in Jesus as their messiah. At this point in history, the old forms of organized religion—churches, baptisms, Sunday schools, even synagogues—will, along with pretty much everything else, be completely transformed, as befits the commencement of a supernatural kingdom on earth. Clearly, the problem with explaining all of Christian Zionism on the basis of eschatology is that not all evangelicals agree on the details or even believe it to be true. Furthermore, while eschatology itself generates much study and sermonizing, it is hardly the overriding or even the preponderant focus of evangelical belief. In 2011, a groundbreaking Pew survey of over 2,000 world evangelical leaders found 48 percent agreeing that the state of Israel was a fulfillment of biblical prophecy relating to the second coming of Jesus and 42 percent disagreeing. Among U.S. evangelical leaders, the split was roughly the same. As for rank-and-file American evangelicals, an earlier Pew survey found three-fifths believing that Israel was prophetically significant—but to this day, no clear consensus has been reached on what is entailed in that belief. The upshot? 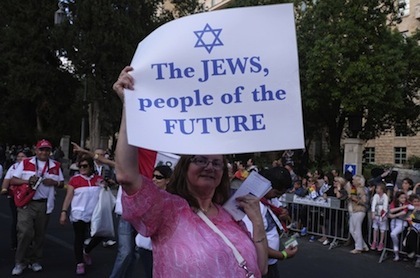 In citing eschatology as a motivation for Christian Zionism, one can prudently say only that most evangelicals believe that the ingathering of the Jewish people to their historic homeland is connected in some way to biblical prophecy. But if eschatology isn’t the real basis for most Christian Zionism, what is? Put simply, it’s the belief in the truth of God’s eternal covenant with the nation of Israel. When asked in the 2011 Pew survey if God’s covenant with the Jewish people continues today, 73 percent of world evangelical leaders, including 67 percent of the Americans, answered positively. Most rank-and-file evangelicals agree. After all, the main theme throughout the Bible is God’s abiding love for and faithfulness to His people no matter how often they disappoint Him. Again and again in Scripture, evangelicals see Israel falter only to be raised up by the loving hand of God who still intends to keep His promises with them and to guide them toward an expected end. In brief, evangelicals love Israel because God loves Israel. But there is also another way of putting it. For evangelicals, Israel’s mistakes are representative of their own mistakes as imperfect individuals in need of God’s grace. They are comforted by the fact that God remains faithful to Israel; it means that God remains faithful to them. And this relates to another point. Though it may surprise most Jews, evangelicals feel not only a strong sense of protectiveness toward the state of Israel but a deep cultural affinity with the Jewish people. It is not just that they are well versed in the Hebrew Scripture and its values. More importantly, as convinced Protestants, evangelicals tend to bypass the period of church history between the apostles and the Reformation—more than a thousand years of Christian corruption and paganism, as they see it—and look for inspiration not to Origen or Aquinas but to the heady days when all Christians were, in fact, Jews. In returning to the roots of their faith, they often feel closer to Jewish culture than to other branches of Christianity. Some go the extra mile to don a kippah, observe Passover, or celebrate a bar mitzvah. Nor is that all. Evangelicals are eager to show Jews that they are not like other Christians by whom the Jewish people were mercilessly persecuted in history. To the contrary, they feel a religious obligation to protect Jews and minister to their material needs. American evangelicals in particular hope to use their influence to ensure that violence against Jews doesn’t happen on their watch. Of course there are other, not necessarily “Christian,” reasons why evangelicals (like other Americans) support Israel. Shared ethical and moral foundations; the feeling of kinship between two settler democracies with a sense of their own exceptionalism; the impulse to partner against enemies of the democratic West and especially, these days, against radical Islam; the urge to protect against a second Holocaust—one doesn’t need to be evangelical to have these feelings. But evangelicals have them intensely. Despite what some may think, then, Christian Zionism is far more than an outgrowth of prophetic eschatology. It is an amalgamation of several strongly-held beliefs and principles that, taken together, cause millions of evangelicals wholeheartedly to endorse the continued sovereignty of a Jewish state in the Middle East. And yet, unfortunately, that is not the whole story. While many if not most evangelicals embrace the main tenets of Christian Zionism, a growing movement advocates, at a minimum, neutrality on Israel and, at a maximum, overturning the hegemony of Christian Zionism once and for all. Evidence is apparent in the 2011 Pew survey. Asked whether they side more with Israelis or with Palestinians, about 34 percent of evangelical leaders sided with Israel and 13 percent with the Palestinians; but a full 39 percent claimed equal sympathy for both sides. Among U.S. evangelical leaders, almost half, 49 percent, expressed equal sympathy for both sides, leaving 30 percent siding with Israel and (again) 13 percent with the Palestinians. In sum, a large number of evangelical leaders are, if not antagonistic, less than stalwart in their feelings for the Jewish state. One factor at work here is the growing influence of Middle Eastern voices within evangelical Christianity. When the Middle Eastern subset of leaders was surveyed in 2011, only 14 percent sympathized with Israel, with 26 percent, almost twice as many, favoring the Palestinians and 43 percent claiming to favor both sides equally. Visibly epitomizing this new Middle Eastern force is, of all places, the little town of Bethlehem. Here, in the historic birthplace of Jesus, a group of Palestinian Christians associated with the Bethlehem Bible College has been hosting high-profile “Christ at the Checkpoint” conferences that bring evangelical leaders from around the world to “reclaim the prophetic role in bringing peace, justice, and reconciliation in Palestine and Israel.” Underneath the lofty language, what this means in practice is unceasing criticism of perceived Israeli injustice, racism, and occupation, peppered with special disdain for evangelical Zionists who allegedly exacerbate the conflict by cheerleading Jewish oppression of Palestinians. “Christ at the Checkpoint” conferences in 2010 and 2012 were hailed as resounding successes. The next conference, scheduled for March 2014, will feature Geoff Tunnicliffe, secretary-general of the World Evangelical Alliance; Billy Wilson, president of Oral Roberts University; and Peter Kuzmic, a professor at Gordon-Conwell Theological Seminary and a well-known evangelical leader in Eastern Europe. Past speakers have included a variety of figures located on the evangelical Left, none of them a friend of Israel. Despite the abundance of trouble spots on God’s green earth, and the truly heinous activities of innumerable governments, this group of evangelicals has taken as its special mission the task of harshly chastising the democratic state of Israel. 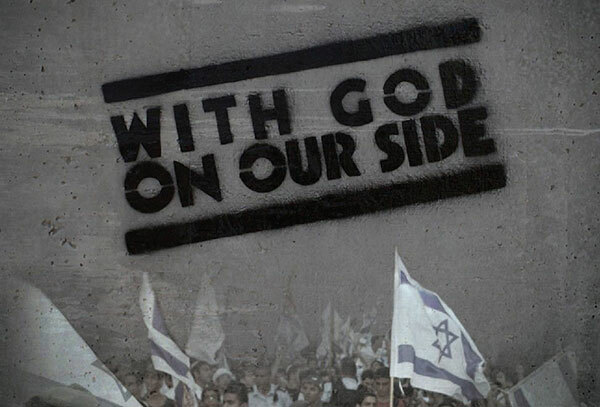 I came away from the film stunned by its systematic attack on the legitimacy of the state of Israel and, even more directly, its vicious hostility to Christian Zionists. In a trip to Israel earlier this year, I was able both to savor the good work done by Christian Zionism and to confront the arguments of its antagonists first hand. Any Christian Zionist worth his salt has heard of the International Christian Embassy Jerusalem (ICEJ). This institution had its origins in 1980 when Israel’s legislature formally acknowledged the results of the June 1967 war by declaring the now “complete and united” city of Jerusalem as the nation’s capital. Immediately, the UN Security Council passed a resolution terming the law “null and void,” and those countries that had not already done so moved their embassies to Tel Aviv. But one group of evangelical Christians took precisely the opposite action. In establishing a new kind of embassy right in the heart of Jerusalem, they intended to show both their solidarity with Israel at a time of great diplomatic need and, more importantly, a face of Christianity that Israelis had never before seen. Today ICEJ is the unchallenged spokesman of Christian Zionists in the land of Israel. Invoking the prophet Isaiah—“Comfort ye, comfort ye my people, saith your God”—the staff understands its mission as ministering to the Jewish people and state by performing concrete acts of assistance and educating Christians on the biblical and political realities of the Holy Land. Over the years, ICEJ’s annual Sukkot festival has attracted many thousands of Christian tourists, Israeli citizens, and Israeli government leaders at a joyful celebration infused by the spirit of good will. In some ways, ICEJ is more notable for what it is not. For one thing, it forswears any attempts at converting Jews. For another, unlike some other Christian entities in the city, it takes no direct interest in protecting sectarian holy sites or institutions. 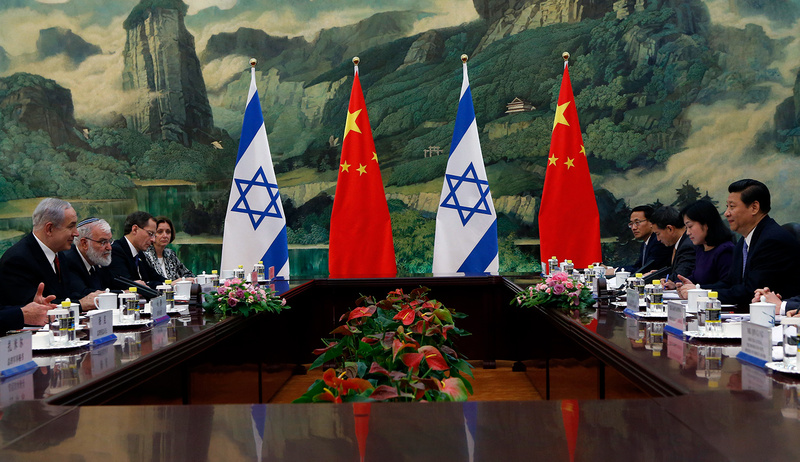 Instead, behaving like true diplomats, its officers and staff seek to identify common interests and forge avenues of partnership between Christian Zionists and the Jewish state. A research scientist by trade, Bühler first came to Israel in 1994 to work on a project at the Weizmann Institute of Science in Rehovot. At the end of the project, enamored of his new home, he joined the staff of ICEJ full-time and has lived in Israel ever since. What is the problem with American evangelicals? They are more interested in endorsing the state of Israel as God’s prophetic instrument than in calling out the injustices that are being done to the Palestinian people. The message of Christianity is a universal one that is not interested in ethnicity or territory. The new covenant ushered in by the coming of messiah made the old covenant obsolete. Do you believe with most American evangelicals that the founding of the state of Israel was a fulfillment of biblical prophecy? No one has a monopoly on the mind of God, so I can’t say that this interpretation of Scripture is wrong. However, all eschatology must match up with the moral and spiritual message of Christ. God would not say one thing here and do something else there. What happened in 1948 and 1967 was not moral, and I personally don’t believe it had any divine significance. Anyway, there doesn’t necessarily need to be a “state” of Israel for the re-gathering of the Jews to be fulfilled. Do you believe, then, that Israel is an illegitimate state? I believe that the way it was founded was illegitimate, yes. And immoral. I believe the same thing about the United States: just look at what happened to the Indians. But don’t misinterpret me. I don’t call for the destruction of Israel. Everyone should be able to live here in peace. So what is your preferred solution? One state would be ideal. It is the best choice for harmonious, ethical coexistence and one that accords with my own Christian values. However, if this dream is impossible, then I think two states is fine. In that case, I believe that Israel should be allowed to keep 78 percent of the land. The Israelis don’t think that’s enough and refuse to accept it. I’ve recently read about Muslim persecution of Arab Christians in the Palestinian Authority, causing some Arab Christians to apply to Israel because it’s safer. Israel doesn’t want them! Israel won’t let them in. But anyone here who feels that way is driven only by economic reasons. There is no persecution here. I live in peace with all my neighbors. How are your own relations with the Palestinian Authority? When Yasir Arafat was alive, I met with him four times. I haven’t yet met with [PA president] Mahmoud Abbas, but I did meet with [former prime minister] Salam Fayyad. I am impressed by both of them and their refusal to advocate violence. Are you afraid that Hamas will take over the West Bank? I am afraid of all radicals, whether Christians, Jews, or Muslims. Of course I don’t want Hamas here. But I am far more afraid of Christian fundamentalists than I am of Hamas. Christian fundamentalists, by blindly supporting Israel, are destroying the church by tolerating and endorsing injustice. They are inhibiting the Christian mission in the Middle East. They are ensuring the continuance of Israeli oppression. The enemy within is usually much worse than the enemy without. If I left Jürgen Bühler feeling satisfied and grateful, I left Alex Awad with a sense of foreboding—and precisely because his deep-grained bias against both Israel and Christian Zionism is so well cloaked in the beguilingly simple language of a longing for justice and peace. Articulated by a sincere Christian, amplified by guided tours of Israel’s separation barrier and army checkpoints, Awad’s calm, logical presentation would resonate, I felt, not only with the influential attendees of his conferences but far beyond. Its appeal would be especially strong among those American evangelicals who, knowing little about the actual history of the conflict, would be incapable of discerning either his distortions of evangelical teachings or his systematic falsifications of Israeli policy and conduct. And so it has proved to be. To understand the rise of pro-Palestinian sentiment among some segments of American evangelicalism, it is necessary to take on board the success of the aggressive advocacy campaign launched by the Palestinian evangelical community itself—a success all the more remarkable given the recent arrival of that community on the evangelical scene. Historically, the Arab Christian community in the Levant was made up of old liturgical sects like Latin and Greek Catholics and various Orthodox denominations along with a few Lutherans and Anglicans. The sudden appearance of evangelical Christianity in the second half of the 20th century, with Bethlehem Bible College as its intellectual and spiritual capital, took many by surprise and marked a decisive change. This young community is to be admired in some ways. For one thing, Palestinian evangelicals are genuine in their faith. For another, being committed to non-violence, they have yet to produce any terrorists—thereby differentiating themselves from some other Arab Christian sects. Yet the soft-spoken manner of Alex Awad, the community’s “human face,” should not be allowed to disguise the fact that, as a whole, Palestinian evangelicals remain strident opponents of the Israeli presence and feel no compunction about shouting their discontent from the housetops. With some exceptions—Pastors Naim Khoury and his son Steven are the best known—the movement is hardly distinguishable from any other run-of-the-mill anti-Israel outfit, faithfully singing the refrains of racism, imperialism, and apartheid. Among the themes embraced by Palestinian evangelicals, perhaps the most inventive has involved the recasting of Jesus as a Palestinian dissident unjustly crucified by the Jews under Roman “occupation.” This trope, often credited to Yasir Arafat, deliberately strips Jesus of his Jewishness (and, presumably, Israeli-ness) in order to turn him into a martyr/hero of the Palestinian cause. In the words of a Fatah adviser who writes a column under the name Adel Abd al-Rahman, “Jesus, may he rest in peace, is a Canaanite Palestinian. His resurrection, three days after being crucified and killed by the Jews . . . reflects the Palestinian narrative, which struggles against the descendants of modern Zionist Judaism, in its new colonialist form, that conspires with the Western capitalists who claim to belong to Christianity” (translation by Palestinian Media Watch). This fraudulent and grotesque construal, widely accepted among Palestinian evangelicals, has begun to penetrate Western evangelical circles as well. as we reflect on the message of the angels, “Glory to God in the highest and on earth peace, ” we can only understand it against the “peace” that Caesar gives . . . . Caesar’s peace enslaves and humiliates; God’s peace liberates and restores dignity to the oppressed. Caesar builds walls to separate people; God tears down the walls of separation to join, unify, and reconcile them one with the other. Caesar’s peace is exclusive for a chosen few; God’s peace is inclusive for all regardless of their race or ethnicity. Herod had lied to the Wise Men . . .; [Ariel] Sharon lies to the world when he says that he wants to enter Bethlehem [and other Palestinian cities] in order to bring peace to the Palestinians and Israelis by rooting out “terrorist” cells and destroying them. The aim for both was to destroy hope, destroy peace, and destroy the future by creating more anger, more frustration, more hatred, and more violence. Finally, in addition to liberation theology, the Palestinian evangelical movement draws deeply from the well of replacement theology or supersessionism. While common among Catholics and many mainline Protestants, this doctrine was largely a stranger to evangelicalism—until recently. Now, Palestinian evangelicals like Alex Awad, with his casually dismissive reference to the supposedly obsolete “old covenant” with the Jewish people, are doing their best to persuade the rest of the evangelical world of its verity, and they have been succeeding. Growing numbers now view Israeli sovereignty in the Middle East as illegitimate because unsupported by, and even contrary to, Scripture. If “Christ at the Checkpoint” and the other Palestinian initiatives form one major factor in the rise of anti-Israel sentiments among Western and especially American evangelicals, a second factor, no less influential, must also be brought into the picture. That factor is the growing liberalization of the American evangelical community itself—and especially of many of its young. Whether and to what extent evangelical religion has been taking a left turn in recent years has been much debated in Christian media. Many of the movement’s leaders, alarmed by developments in their local communities, have warned against doctrinal drift among the young. Others have denied it, citing survey data to maintain that young evangelicals are actually more conservative than ever. Without entering into this by-now hoary debate, I submit that sizable parts of the evangelical community have indeed departed from a traditional understanding of their faith. This exodus is no secret. Participants in the trend are hardly shy about their beliefs and ultimate goals, and sympathetic outsiders have been quick to notice and applaud them. Indeed, the “New Evangelicalism” has been heralded by progressive figures within the larger Christian community not as a turning away but as a restoration of the true essence of Christianity. Driving this move, one hears, is the desire to exemplify Jesus’ love for the world by breaking free of old stereotypes and knocking down the barriers between evangelicals and “mainstream” American culture. On this account, the New Evangelicals, tired of the message of heaven, hell, and salvation preached by their parents, want nothing so much as to bring religion down to earth. But, predictably, the agenda turns out to be much more defined than that. As in all such tendencies, cultural and political attitudes intermix freely with religious and spiritual ones. While most evangelicals are still “pro-life,” abortion is not their only concern. Not all are convinced that Republicans have the best answers to all the life issues. While most evangelicals are strongly committed to strengthening family life, not all think equal rights for gay and lesbian people are a threat to the family. Poverty reduction, immigration reform, a consistent life ethic, the care of environmental protection, a less militaristic foreign policy, and a deep commitment to racial and economic justice are all issues of concern. Of course, many New Evangelicals would deny that they advocate an identifiably liberal or leftist approach to Scripture and traditional doctrine; in A New Evangelical Manifesto: A Kingdom Vision for the Common Good, Brian McLaren piously avers that it is “impossible to determine” what form “the current emergence of Christian faith will take.” But the evidence is plain. One telling example lies in the recent trend known as “Red-Letter Christianity,” promulgated largely by the evangelical superstar Tony Campolo. Seeking ostensibly to move beyond partisan politics by focusing on Jesus’ quoted words (commonly printed in red in Christian Bibles), this cherry-picking method inevitably ends up elevating verses like “turn the other cheek” over the more hard-nosed sections of Christian Scripture. Love, tolerance, inclusiveness: these values are indeed anchored deep in the Christian tradition. But they tell only half the story. The Christian God is a God of love, but also a God of justice. In the New Evangelicals’ approach to social questions, the scale is permanently tilted to one side, elevating peace, non-violence, and a thinly-disguised utopianism as the core tenets of Christianity to the exclusion of everything else. By abandoning the belief in inerrant Scripture and embracing certain passages over others, the New Evangelicals become less attached to the biblical view of history, more abstract in their religious sensibilities, and more concerned with bettering the material world in accordance with principles of selection rooted transparently in contemporary secular politics. To mainstream evangelicals, needless to say, the new progressivism is a looming disaster—and one with historical precedent. They point to the inroads made into Protestantism at the turn of the 20th century by the liberal-leaning theology that arose concomitantly with the so-called higher biblical criticism. The latter, denying the literal and inspired character of Scripture, transformed the Bible from a volume of revealed, objective truth into an anthology of subjective myth and allegory. In short order, old ideas about creation, salvation, and revelation went out the window, along with much else besides. Armed with the new wisdom of the higher criticism, and inspired equally by the ideals of secular American progressivism, early-20th-century proponents of the “social gospel” movement discarded the timeworn Christian anticipation of a divine kingdom of righteousness and set out to construct that kingdom in the here and now. The aftershocks of this movement would enjoy a long life in American politics and religion, even as, in the fullness of time, the fatal infection of religion by secular politics would end by emptying the pews of congregants in many an established Protestant church—a lesson hardly lost on today’s evangelical leaders. Crucially for our purposes, the teachings of the higher criticism also required a change in Protestant thinking about the Jews. 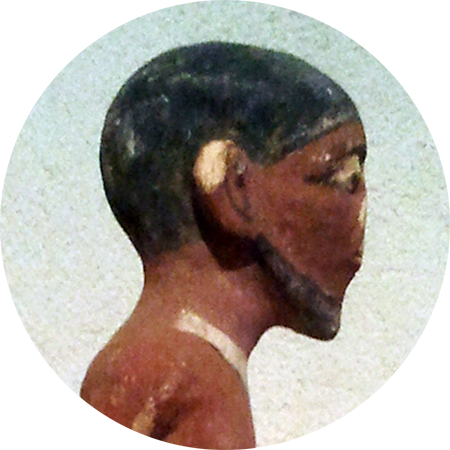 In the eyes of the higher critics, it was not God but the ancient Israelites themselves who had written their own “deed” to the land of Canaan, “prophesied” their own chosenness, and set out to actualize their self-serving prophecies to the detriment of everyone else. It was with this in mind that the great Jewish scholar Solomon Schechter (1847-1915) was led to characterize the higher criticism as “the higher anti-Semitism.” Yet, hand in hand with the social-gospel or “social-justice” perspective, the anti-Jewish perspective of the higher criticism would go on to enjoy a long life in the established Protestant churches, enabling many liberal Christians to view the emergence of the state of Israel in 1948 as an act of selfishness committed by a demonstrably selfish people. Today, Protestants who read the Bible through the lens of the higher criticism frequently number among Israel’s most vocal opponents. From the viewpoint of mainstream evangelicals, it is no coincidence that today’s New Evangelicals work enthusiastically to build partnerships with the less biblically-minded branches of Christianity; the two parties share an essential like-mindedness on this front as on others. Nor is it a coincidence that Christians who disbelieve in biblical inerrancy, hedge its meaning, or ignore its relevance in practice also tend to reject the starting premise of Christian Zionism: namely, the eternity of God’s promise to the Jews. True, most evangelicals in the U.S. still adhere to the mainstream worldview, basing their support for Israel firmly on the Bible as the embodiment of God’s everlasting covenant with the people Israel. For them, the Bible predicts the destined journey of that people from catastrophic exile to miraculous return. These are not abstract concepts open to interpretation; they are living facts that entail spiritual, social, and political obligations in real time. But the majority enjoyed by this view is not nearly as strong as it once was. In fact, it may have peaked. If that turns out to be the case, an animating factor will have been a conjunction no less fateful than the conjunction of early-20th-century political progressivism with the fruits of higher biblical criticism. Today’s version of that earlier amalgam is the merging of the Palestinian evangelical activists with the New Evangelicals in the United States. Given the currents of our age, it was probably inevitable that these two movements would find each other. Both, after all, want to raise the standard of “social justice,” upend old “hegemonies,” and recast evangelicalism in a new mold. And both factions have a common adversary in the form of Christian Zionism. Indeed, in the United States, the same people leading the New Evangelical movement also promote the pro-Palestinian narrative; a representative example is the pastor Tony Campolo, a champion (as we have seen) both of “Red-Letter Christianity” and of the anti-Israel film With God on Our Side. Each year yields more books and op-eds by evangelicals blaming Christian Zionism for wreaking unspeakable havoc, and increasingly their voices are amplified by well-known academic institutions and media outlets. Meanwhile, the annual conferences of “Christ at the Checkpoint” continue to draw high-profile pastors, professors, and evangelical leaders from around the world to endorse and spread the anti-Israel message. The bottom line is simply this: more and more American evangelicals are being educated to accept the pro-Palestinian narrative—on the basis of their Christian faith. Although Christian Zionists have mounted a heroic counteroffensive, it is not altogether clear that they have, or have yet developed, the proper tools to persuade young evangelicals of their position. How does an obscure theological debate within Christianity relate to American Jews who are concerned for Israel and are at least open to evangelical support? And even if a sea change is actually taking place within evangelicalism, surely I can’t be suggesting that Jews should intervene? To the latter question, my answer is no—and yes. It goes without saying that Jews cannot weigh in theologically on the validity of one or another interpretation of Christianity. I have no expectation that a Jewish author will publish a book entitled Why Christian Zionism is a Correct Interpretation of the New Testament. I believe, however, that Jews should view this intra-Christian debate as relevant to them and react appropriately—that is, if they believe that the Jewish state is a precious thing that must be preserved at all costs. For such Jews, the strengthening of evangelical support should be a high priority. Retaining the support of this 300-million-strong global community is an imperative. If there is a way to help evangelicals help Israel, it should be found and followed. The first step is, so to speak, mental. As I noted early on, for most Jews—conservative or liberal, religious or secular—the idea of partnering with evangelicals on any endeavor is by definition off-putting. Even where Israel is concerned, Jews have been more or less content to let evangelicals voice their support on their own, without significant interaction. But whatever the source of this mental block—religious, cultural, social, or more likely a combination of all three—Jews who are serious about strengthening Christian support for Israel must first open themselves to the idea that evangelicals may not be all that bad. Getting to know one is the best place to start. Even more important than getting to know evangelicals is learning to respect their beliefs. Contrary to the popular image of mindless zealots or modern-day Crusaders, evangelicals are for the most part rather mild-mannered members of society. They have beliefs on which they will not bend, but those beliefs are drawn from a book that is arguably the source of all that is good in Western civilization. They enjoy speaking about their faith, but do not deem it possible or right to convert someone against his will. They prefer that their society embody traditional moral values, but have no desire to establish a theocracy. They possess a rich literary and cultural heritage, and have produced some of our nation’s greatest thinkers and leaders. In brief, evangelicals have a great deal to offer society and should be valued for their principled devotion to their convictions. The second step is to extend a hand to those evangelical institutions and individuals who over the years have demonstrated a firm commitment to the state of Israel and the Jewish people. While evangelical support for Israel is hardly contingent on reciprocation, reciprocation would enable it to flourish still more vigorously. In its 2011 study, Pew found that although 82 percent of American evangelical leaders viewed Jews favorably, a whopping 42 percent felt that Jews were unfriendly to evangelicals, while most of the rest thought them indifferent at best. Statistics, to be sure, go only so far, and the history of Jewish-Christian relations, among other things, has played a definite role in creating and sustaining the wary Jewish mindset. But the persistent disparity in the feelings of the two sides inhibits cooperation in areas of overlapping concern. Extending a hand can mean any number of things, from strategic funding of pro-Israel evangelical organizations to simply contacting one’s local evangelical pastor and thanking him for the work he is doing. One would be surprised to see how far such seemingly small efforts can go. On the institutional level, one admirable initiative is the Center for Jewish-Christian Understanding and Cooperation founded by Rabbi Shlomo Riskin in Efrat, Israel, which brings together rabbis and Jewish educators with Christian leaders, especially evangelicals, for the study of the Hebrew Bible. A more programmatic approach would involve targeted educational programs on the fundamentals of Israeli history and society. Notwithstanding their devout attachment to the Zionist cause, most evangelicals are ignorant of even the most basic aspects of modern Israel. An instance close to home: just before their recent trip to Jerusalem, members of my church asked me where Israel was located on the map, what language Israelis spoke (a common guess was Arabic), and what religion they practiced (Islam?). Ask ten evangelicals about the significance of Theodor Herzl in the founding of modern Israel, and my guess is that no more than two could answer intelligently. Not all evangelicals are so uninformed, but one should err on the side of the lowest common denominator. Even the most ardent Christian Zionist, raised to support Israel on the basis of biblical passages, is generally unequipped to respond to critics invoking the Balfour Declaration, UN Resolution 242, or Sabra and Shatila. Many young evangelicals have been induced to depart from Christian Zionism by a film like With God on Our Side or a college course on the Middle East where, in the face of a professor’s blatant certainties, their utter lack of knowledge frustrates any ability to defend their convictions or brings them to adopt the Palestinian narrative as the “truth” their parents never told them. This is a Christian problem, one that must first and foremost be addressed by evangelical leaders themselves. But that doesn’t mean interested Jewish partners cannot propose ways of accomplishing the task more effectively. The best education on Israel comes from visiting the land, meeting its people, and witnessing its day-to-day life, in all its complexity, firsthand. While over a million evangelicals visit Israel every year, many tend to be older and already convinced. Other Christian pilgrims do little more than follow in Jesus’ footsteps in Galilee, tour the Old City of Jerusalem, and pay a visit to (where else?) Bethlehem. To my knowledge, no serious, large-scale effort exists to bring evangelicals—particularly young evangelicals—to Israel to learn about the realities of life on the ground. 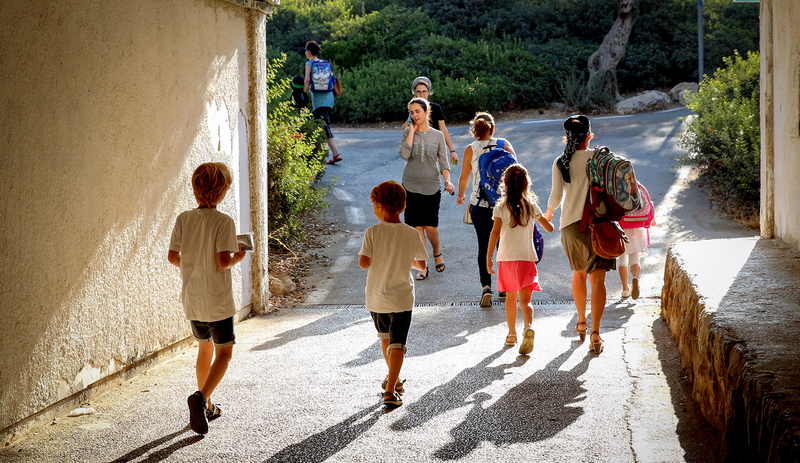 In September, Israel’s Minister of Tourism Uzi Landau announced tentative plans to establish a Birthright-type program that would help shore up evangelical support for Israel in the rising generation. As with most endeavors of this kind, securing the necessary long-term funding promises to be difficult. But whether initiated by Christians or by Jews, programs like this one are a must. A successful effort, though it may never rise to Birthright’s impressive scope in terms of numbers, would exercise a powerful impact on attitudes in the Christian world, one that would reverberate for decades to come. For any Jewish supporter of Israel who still finds the idea of outreach to evangelicals too abstract or too uncomfortable to command his attention, let me say a few words about the current moment. We live in historic times. What Jew (or Christian, for that matter) would have ever predicted that Christians, many of whom have never met a Jew in their lives, would be standing up strongly, in their millions, in defense of a Jewish state? On a variety of levels, this moment was simply unimaginable. As a Christian who takes his faith seriously, I believe that the current link between evangelicals and the Jews is not just a serendipitous coincidence. Rather than just another religious or national grouping, I see the Jews as a community appointed to play a special role in the cosmic order. Yet even those who cannot themselves assent to such a statement of faith must surely recognize its power as a motivating factor in the hearts and minds of others. So long as evangelicals and Jews share an interest in protecting Israel, they should, despite their perfectly appropriate differences, do everything they can to build a strategic alliance based on the mutual imperative of defending the world’s only Jewish state against those who would seek to destroy it and those all too ready to lend a helping or acquiescent hand. Nostalgia, and bitter regret. If Jews and evangelicals are to cooperate, they must do so sooner and not later. I’m proud to stand surety for my own community’s readiness to act. It’s time for American Jews to say thank-you to evangelicals—and to act accordingly. The Victorian roots of evangelical Zionism. Despite what some of my respondents say, something fundamental is changing inside the evangelical movement, and it bodes ill for Israel. Fervent Friends, or Fickle Ones?